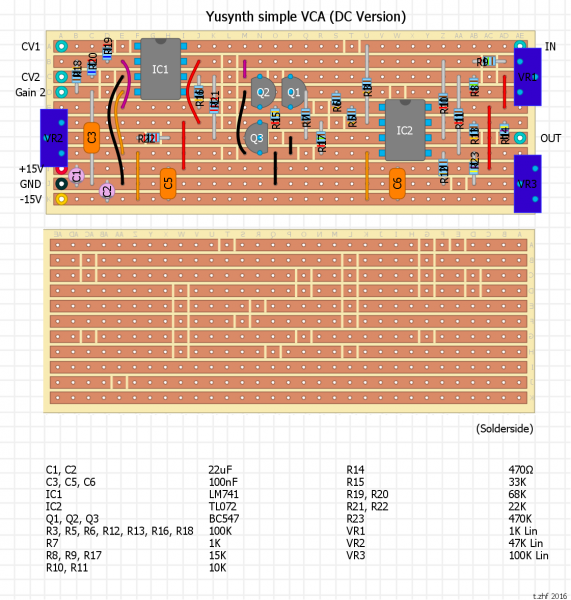 I have made some stripboard adaptions of Yusynth modules (VCA/ADSR/Steiner Filter) and the Thomas Henry 555 VCO. 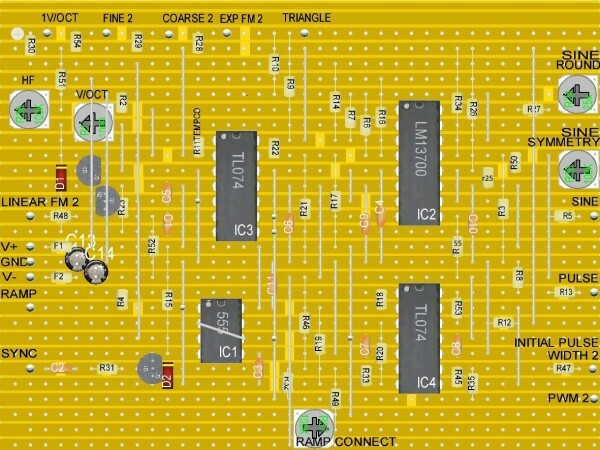 As a big fan of stripboard, (many thanks to Minus for the 808 clone), I thought some of you might be interested. 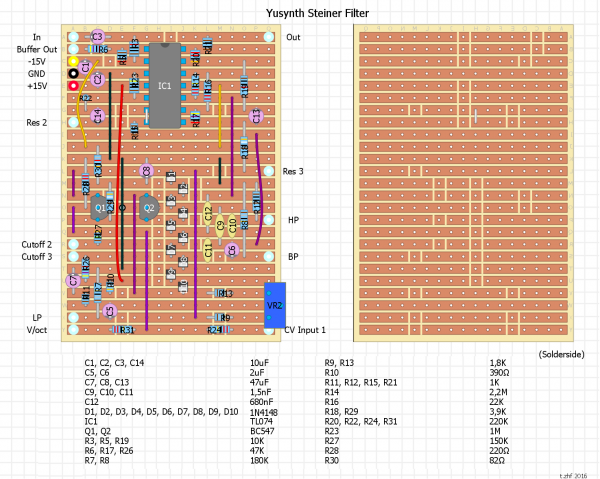 Check the yusynth page, some components might be adjusted. I hope some of you will enjoy ! I think I will regularly add new stripboard versions. Great! Many thanks for your work on these am going to start simple with building the noise! This thread is pure gold. Thanks for sharing. Tempted in all them. 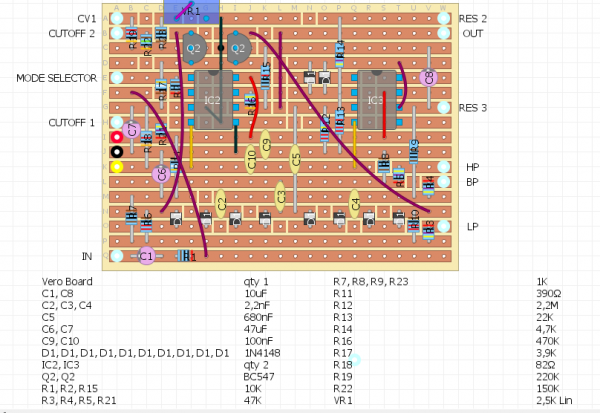 Thanks for posting these, just more or less finished the adsr, after earlier finishing the steiner filer (which still can use some troubleshooting, threads with possible solutions for the minor flaws still experienced have been looked up through tfse ). 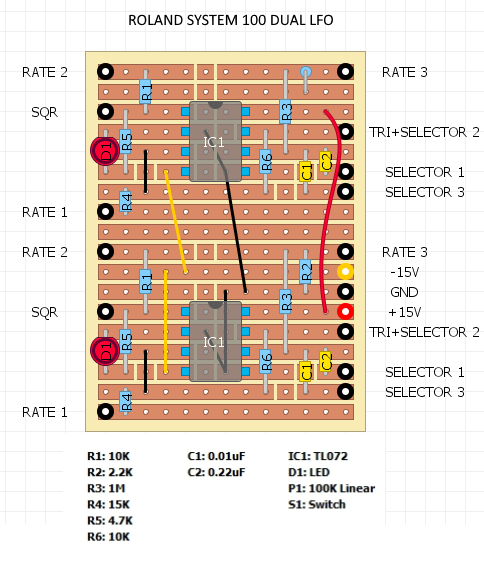 One thing I noted after initially experiencing some issues with the adsr though, is that orientation of the n4148 diodes can be best double checked with the original schematics, since the visual representation of their polarity seems to be exactly opposite between the 2 modules, and its hard to say in which one it could be called wrong. 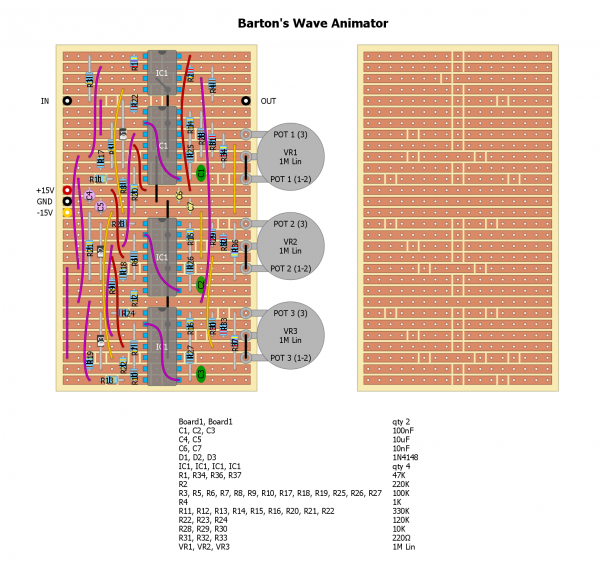 For anyone else passing by the Barton's Wave Animator uses TL074(3) and TL072(1). 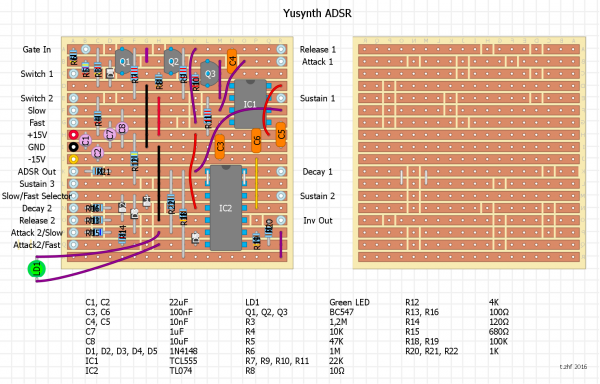 hey there....this is my take of the Yusynth Pulse Delay module laid out on stripboard. Enjoy.